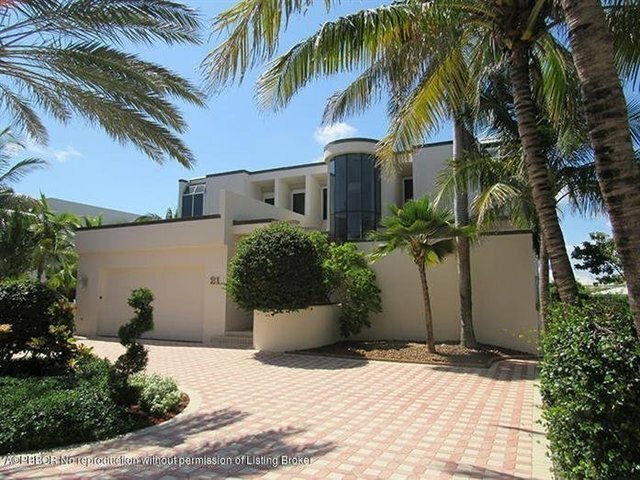 Contemporary two story 4B/5b home now available in one of only seven single family homes at coveted Residences of Sloans Curve, the only gated community on the island of Palm Beach! High, high ceilings afford plenty of light. Master bedroom on first floor, Updated kitchenand closets. Enjoy full Sloans Curve amenities of six Har-tru tennis courts, exercise room, party room, building pool or your own private pool with private deeded access to beach.Do not miss this rare opportunity!